20/05/15. Shaqlawa, Iraq. 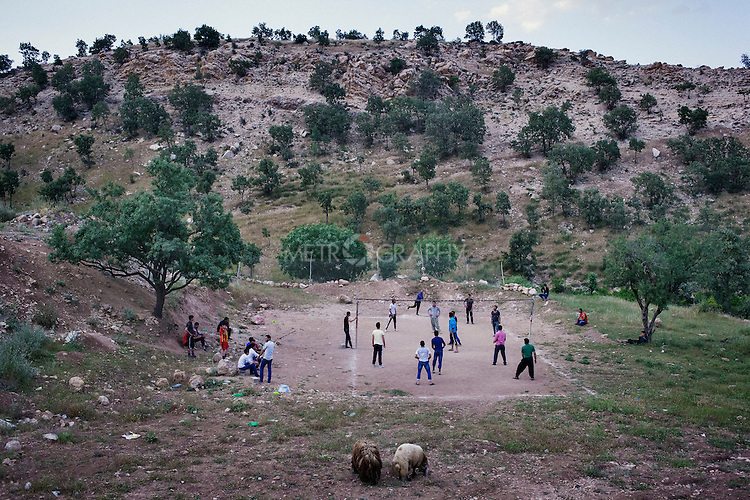 -- A group of locals play volleyball at dusk, outside of Shaqlawa. Relationships between the hosting community and the displaced families have been generally good. Copyright: © Rawsht Twana / Metrography all rights reserved.